My father was a sailor — a bona fide Greek sailor who helped his father skipper their 104-foot schooner to distribute merchandise from the Port of Piraeus to the various Cycladic and Sporadic Islands. After World War II he became an American merchant mariner, a job he did for over 30 years. He worked for all the major American shipping lines and their vessels. A short trip was 3 weeks; a long one 6 months. 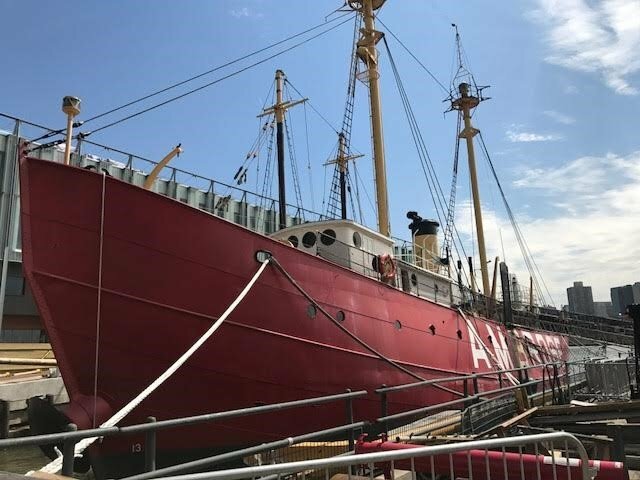 When I was grown and walking along the piers at the South Street Seaport and I saw the Ambrose for the first time, I cried to actually see her and know what she meant and means to all who journey the seas, love the sea and all the majesty, hardship and history involved.